Big 3 dimensional foam sculpture of shark. under water. It was later moved to A1 Scuba in Colorado. Posted 9 years, 4 months ago at 11:08 am. 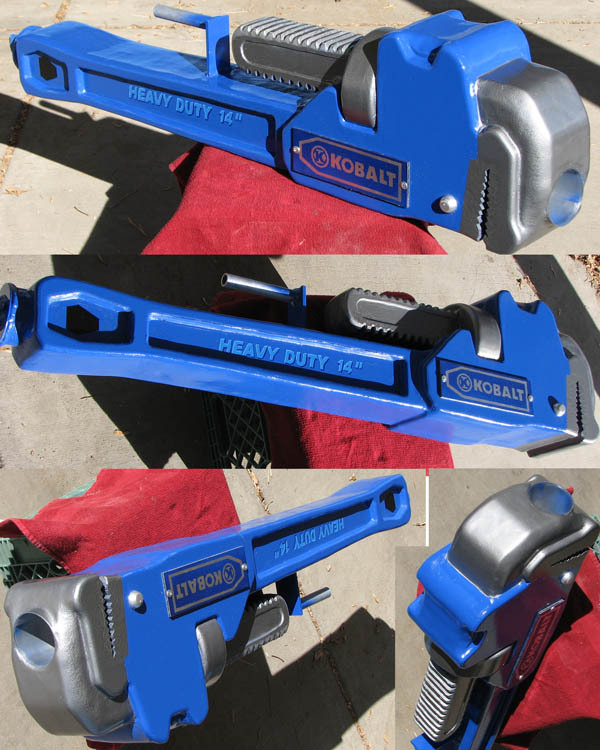 3 d foam sculpture of pipe wrench T shirt launcher. This big 3 dimensional prop is made of foam, wood and fiberglass. Its a barrel for a tshirt gun for Aircannons Inc.
their site. The hardest part was carving the threads out of wood. Posted 9 years, 5 months ago at 9:57 am. 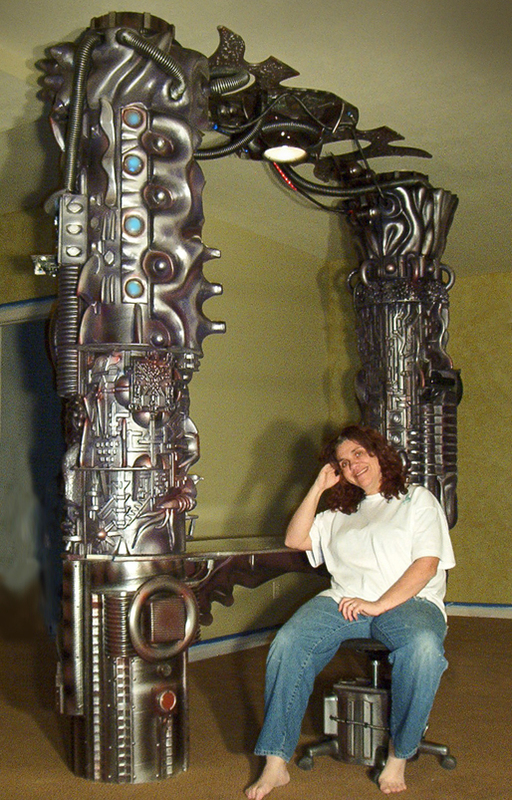 This crazy desk went around 2 existing columns. The customer asked for an Aliens Borg inspired design. the sci fi theme! Some of my projects are private commissions and are usually the most creative. Posted 9 years, 5 months ago at 8:40 am. Sculpted foam props! 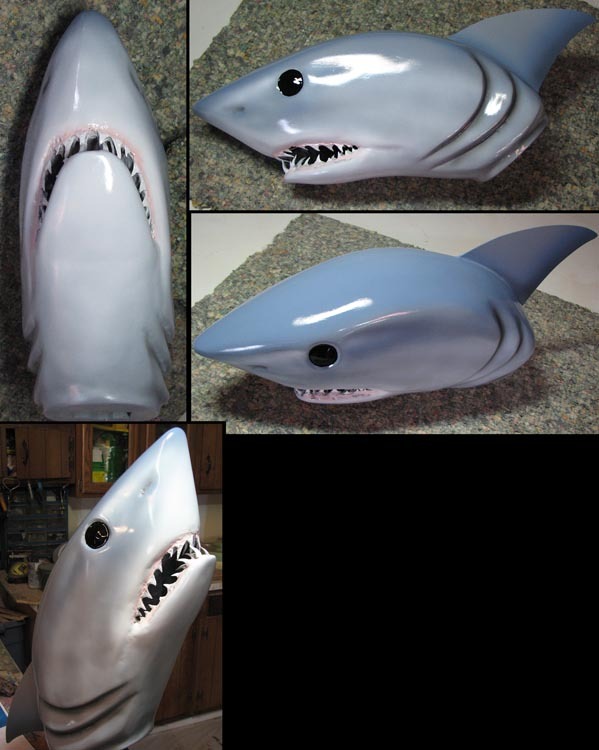 Mako shark head for A1 Scuba retail display. art scuba facility. This foam sculpture is the head of a mankin used to sell scuba gear. 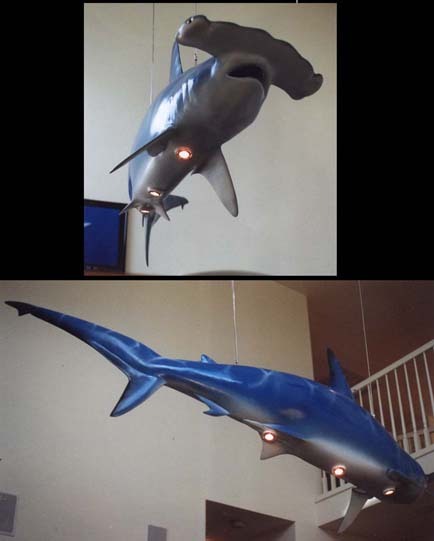 They have also used them as tradeshow exhibits and visual aids during shark lectures! Posted 9 years, 5 months ago at 7:55 pm.